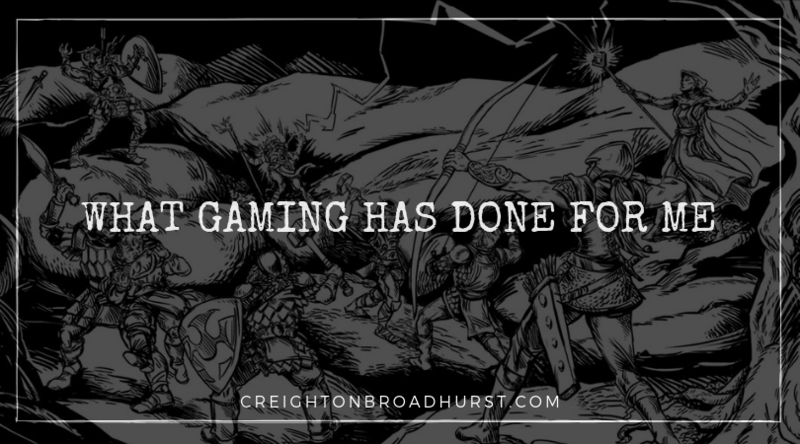 As part of plotting my boys’ initiation into gaming, I was pondering the other day exactly why I game and what gaming has done for me over the last thirty years. When you think about it, the benefits of gaming go way beyond mere fun. Obviously, I love this hobby–or I wouldn’t still be doing it–but the more I think about it the more I realise it has hidden benefits I must pass onto my boys. 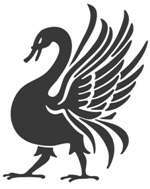 Maths and Reading: I started gaming when I was ten years old. After school, I used to rush home to do more reading and maths. Of course, I didn’t realise it at the time–I just wanted to whack orcs/whatever stood between me and the treasure–but gaming gave me a real boost in (probably) the two most essential life skills. I think it’s fair to say, a large part of my life-long love of reading comes from gaming. Later on, when I started writing my own adventures and supplements, gaming gave me the impetuous to learn how to write properly. Teamwork: Gaming taught me the benefits of teamwork. After all, if you go into the dungeon on your own you are going to die (horribly). Gaming is a cooperative experience. If the party works together, they’ll likely triumph over their enemies. If they don’t, disaster likely looms. The ethos of teamwork and the ability to compromise are incredibly important life skills. Good Friends: This is a huge one for me. With only two notable exceptions, all the long-term friends I have made have all been through gaming. I’m very lucky in that my main group has had an extremely stable roster of players. Of the seven of us, I’ve gamed with three of them for the best part of 20 years. Of the others, I’ve gamed with one for over a decade and the others for less time – but in two cases probably around five years or so. Looking at my wider group of friends, I’ve chums scattered all over the UK and the world I met through gaming. Do you game for another reason? Have you found it has some benefit not mentioned here? Let us know what it is in the comments below and help other gamers get the most out of their games! (I originally posted this article on 23 May 2014; since then I have made several minor additions and corrections). I can definitely agree with the reading and math category, Creighton. My son got all the math genes, yet I still amaze him with the speed that I can do simple arithmetic in my head. This skill has helped me at my last job and it all came from gaming. I am a writer as well and crafting adventures for various games over the years got me into the groove for writing my own stories. Gaming has definitely helped shape my life. It has enriched it and made it more worth living than any other interest I have ever had. Growing up socially unsophisticated (it goes with being a geek), having a regular group of trustworthy friends in what is effectively an improv theater group in which we each take on a number different roles and philosophies and motives and then interact with one another, is a and pleasant way to become more socially capable. After 34 years of playing many roles and trying to understand and come to grips with the motives and philosophies of different people I am moderately high on the understanding/empathetic/tolerant spectrum — not something that anyone who knew me at age 5 would have expected. If math or reading were useful to you in later life, you would have learnt just as much of either as was useful; I object to the broad anti-intellectual and anti-free-pursuit-of-happiness which is the premise of many — that math/science/reading are somehow more important than they are interesting. When people start advertising the mistaken anti-intellectual assumption that such things are boring, or the ego-maniacal assumption that because I am interested in them I need to find a way to force or cajole or seduce others into being involved in those subjects, it twists and perverts society such that people don’t find the natural level for pursuit of those things in light of what actually inspires them (and, IMNSHO, actually drives them away from thinking about maths and science, or becoming serious readers). I’m a huge fan of reading. I’m sure that comes from being 10 years old and having to do so much reading for the game. Reading has opened up so many new vistas and opportunities to me. It’s one of the things I’m most proud of having past onto my children. It makes me sad when children are not encouraged to read. I think everyone needs to be a good reader. Not being a good reader is such a huge disadvantage in life. My husband, who introduced me to gaming 16 years ago, is a licensed clinical professional counselor in a residential setting. Over the years, he has run DC and Marvel adventures to help his adolescent clients learn to make good choices when caught between good and evil. I started introducing my high school students to rules-light systems last year as a way of developing their critical and creative thinking skills and guiding their ability to think through the elements of a plot/story, as well as providing opportunities for collaborative storytelling and dramatic interpretation/public speaking. It definitely helped my reading skills… when I was 13 and discovering words like ‘melee’ and ‘initiative,’ it was like I was in a whole new world…. math skills, too… wish I could say of my more modern players, they were pulling out their phone calculators to figure out numbers I was doing in my head! Miss my old gaming friends, though. Oh, and I did a temporary career out of it, too, when I did illustrations for Kenzer & Co. Good times. Gaming definitely improved my math skills, and they truly needed improvement! Gaming definitely helped me make quick decisions and think fast. And one thing to forget about pain is to do something you will be in completely, so computer games. And if I hadn’t roleplayed, I’d never have tried the first LARP site, Treasure Trap. Had I not gone there, I’d never have met my dearly beloved lurking in a castle dungeon. We rescued him, but he captured my heart. Getting into gaming really expanded my imagination. As DM, it has improved my reading and comprehension skills. Also, I wrote and did artwork for my own campaigns, and my storytelling skills are better. It eve got me my first real freelance work in illustrating for a game company. So I feel I owe a lot to the hobby.